I didn't see this coming - Tomas Plekanec is on unconditional waivers for the purpose of his release. I am surprised, but it makes sense business wise . Does it? They have plenty of cap/contract room and some injuries up front. Unless this was Plekanec coming to the team and asking to be let go to have a shot at catching on somewhere else with a bigger role, this doesn't appear to make a lot of sense on the surface. Smells like Europe to me. Certainly an option but he doesn't need to go through waivers for that to happen. He can announce his retirement from the NHL and then sign overseas (Kevin Klein did that a couple of years ago). This news really saddens me. I guess the whole idea was to get him to Game 1000, but it still seems an unfortunate end to the career of one of the best, classiest Habs of this era. Based on the comments from the press conference, Bergevin approached Plekanec with this earlier in the week. He doesn't appear to be interested in pursuing another NHL job but indicated he'd like to play a little while longer so he's probably heading back home. The rules only apply to 35+-year-old players on multi-year contracts, not one-year deals. 35+ players on one-year contracts aren't subject to any special restrictions. Does it mean that we lost DLR for nothing ? Or he would have been waived anyway ? Plekanec wasn't counting on the 23 man roster when he was on IR. We would have lost DLR anyways. At some point, even without Plekanec, we would have been at 24 players. When DeLo came off IR, Plekanec went on. We still didn't have a spot for DLR to come off IR..... he would have had to be waived. Well, I'm glad he got to his 1000th game with us, but it's too bad that his NHL career had to end so abruptly. 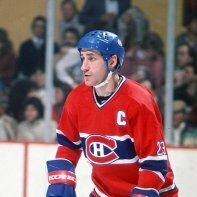 Nevertheless, he'll remain one of my favourite Habs from this era. It depends on the legitimacy of Plekanec's back injury as de la Rose was waived just days before Plekanec went on IR. If Plekanec going there was more of a designated rest period to avoid having to waive someone, then a case could be made that they gave up de la Rose for nothing (they could have invented the injury a few days earlier than they did). They would still have been at 23 players at some point. Thats 23 without DLR, or Plekanec, they would have been over. Plekanec dies so Kotkaniemi can live. I don't like it. Waive Deslauriers and shift Peca to the wing. Pleks has more to offer and earned a better send off than this. Think of it this way. He played his 1000th game(a big reason I think they wanted to resign him) scored a goal and had a great send off in that regard. He then gets put on IR and we never see him again. I think that game was his send off and I think Plekanec and management wanted it so. He went out on a high note. I wouldn’t be surprised if the Habs approached him for a job within the organization either but it looks like he had other plans, possibly going back to Czech Republic. You're right. I forgot de la Rose was still on IR at the time he was waived - he didn't come off there first so the roster spot wasn't open. Just hope was a mutual agreement and didnt come as big shock to Plekanec being cut after game 1,000? Not that much depth at center this year to release Plek, they could have convince him to stick around. Fake reason to say kids needs place to grow. Nobody is knocking at the door at c.
If any of the current centers gets injured what are the options ? Vedjemo ? Good start but needs a full year, Evans produce but still lacks skating ? Chaput ? Froese ? Mcarron ? Or stuff we saw last year Byron or Shaw. 2 250 000 $ against the cap space. No, this clears his contract entirely aside from what they'll have paid him through Sunday (he technically isn't on waivers just yet). And Plekanec will still have been paid roughly $320K for his send-off. Not a bad deal for him, I think. Plekanec has now formally cleared waivers, paving the way for his release to be made official.